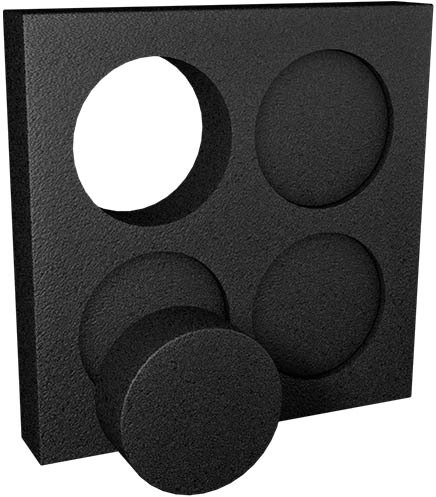 Here at Power-Stop Archery Targets, we aren’t just foam target manufacturers; foam fabrication is our core business. Chances are many of the foam products you use on a day-to-day basis contain foam that was fabricated by our company. But what does that mean for you, the archery enthusiast? Well, unlike other archery target manufacturers, it means we don’t use scrap material and we don’t use just any quality foam material available. It means WE engineer the highest quality foam material to meet our specific needs, to perform at the optimum level YOU need. Power-Stop Archery Targets are better built, lighter weight, deliver easier arrow removal and with multi-sided use, will provide years of day-to-day use. They say practice makes perfect. Well, at Power-Stop Archery Targets, “perfect” starts with better foam.